Moving goods around inside your warehouse and storing them in a rational way is a major challenge - but the process of actually getting the goods inside in the first place is also filled with potential problems. 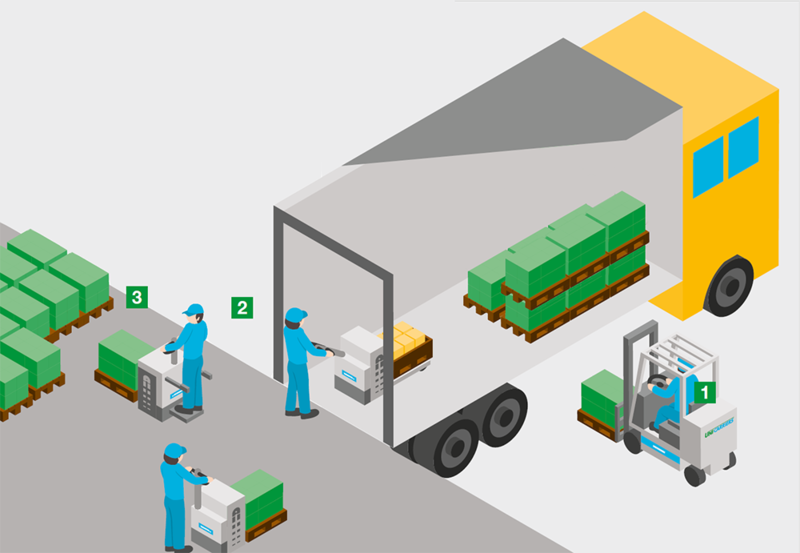 High costs, queueing and inefficiency can all arise when you're not unloading optimally. That's why making the process as smooth and quick as possible can have a positive 'knock-on' effect on the rest of your operation. But what method should you use? Many warehouse managers use versatile counterbalances to unload the pallets from ground level from the sides of the truck. Others make use of pallet trucks, which can enter the lorry via a loading bay and take out pallets from the rear. Both ways of working have their advantages and disadvantages, and even the most cost-effective option in terms of the cost per pallet may not work for you - especially if you don't make use of loading bays. But the purpose of this guide is to show the major cost savings which can be made just by carefully analysing your operation and choosing the right truck for you. Cheaper hand pallet trucks may be attractive - but if you're open to recommendations and suggestions from your supplier, you could see that the more expensive stand-on trucks could actually make more savings in the future. In this guide, created using the UniCarriers Logistics Analyser, we’ll look at three different possibilities, and and examine the cost-per-pallet for each. In order to get the guide, just click the blue button below. You’ll receive a free PDF showing each scenario, which you can read, download and share with colleagues. Hopefully it will demonstrate the importance of careful analysis in materials handling!